The light of Thy countenance, O Lord, hath shined upon us. The first reading at Vespers today is Genesis 1: 14-23. In Brothers Karamazov, the boy Smerdyakov mockingly asks the pious Grigoriy how there could have been light on the first day if God did not create the sun until the fourth day. He grows up to be a nihilist who murders his father without remorse. On the first day, God said, “Let there be light.” God did not need to sun to make the light. His light – both the uncreated light and the created light – illumined all that He made on the First, Second, and Third Days of Creation. 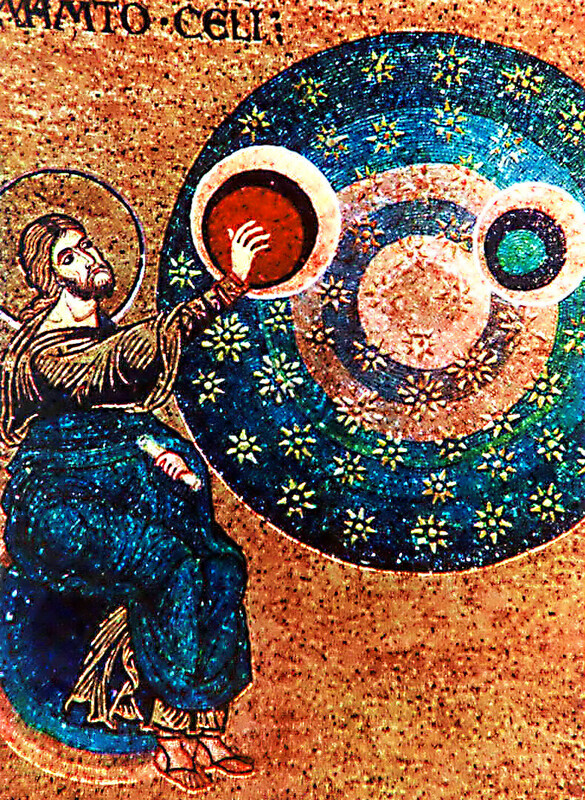 He created the sun and moon and stars as servants of the light; they are not light itself. Likewise, God did not need the brain to create mind. Being the Uncreated Mind, He created countless bodiless intelligences, the Angels, before this world came to be. Man’s physical organs of thought – both the brain and the heart – He created as servants of the mind; they are not mind itself. 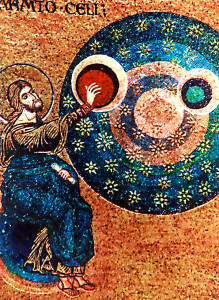 To make clear that the sun, moon, and stars are not gods, God inspires Moses to state that the Lord made them “…for signs and for seasons, for days and for years.” God made all the vast physical cosmos, whose awesome grandeur and unimaginable dimensions human science has confirmed in our time, to be a calendar for man, a servant of man. For man alone is made in the Image of God. One human heart is potentially greater than the entire physical cosmos, for into the heart of the baptized the Holy Trinity comes to dwell. All man’s ills – of mind, heart, and body – arise when he worships creatures and not the Creator as the source of his life. All man’s ills – of mind, heart, and body – arise when he forgets the nobility of his divine calling. During Great Lent, we re-learn that God is God, and that we must worship Him alone. We re-learn that He made us in His Image and that we must recover the primordial Likeness. By re-learning our original nobility, we come to lament our present poverty, and we aspire to the Paradise that we lost through sin.